This fancy “French” inspired cut diamond was made popular by Betzalel Amber and Israel Itzkowitz in the 1970s. Princess cut diamond is our most popular non-round diamond because of its brilliance and unique cut which makes it a favorite diamond for unique engagement rings. Princess cut diamonds have pointed corners and are traditionally square cut. We use the term “traditionally” because many princess cut diamonds are slightly rectangular. The price of the diamond is slightly affected by how precisely the diamond is cut into a square despite the fact that many consumers prefer a rectangular cut; often it’s all about what you prefer in a diamond. As shown in the picture below, rectangular princess cut diamonds have a distinct advantage over square princess cut diamonds - they look larger (both of the following princess cut diamonds are one carat in weight). If you have slim fingers, a rectangular princess cut diamond might be the choice for you. In addition to providing you comprehensive insights on the 4Cs of princess cut diamonds, we will also cover four scenarios in this article that you should consider while deciding which C to compromise on and to what degree. Key factors to take into consideration while buying a princess cut diamond include the cut, color and clarity. Learning more about diamond fluorescence and certification is also a good idea. Princess cut diamonds do not have an assigned cut grade in GIA's grading reports. However, AGS does assign a cut grade to princess cut diamonds. There is not a constant agreement as to what proportions the princess cut should be. This is a conundrum for many suppliers and consumers of princess cut diamonds. 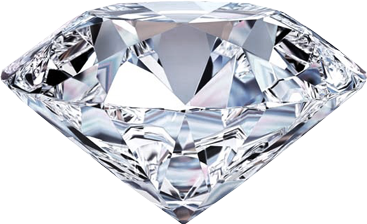 If you would like our view on it, we think you should look for a diamond whose total depth is about 68-70% (with a tolerance of 5%). Another rule of thumb would be to check for the diamond’s polish and symmetry grade to be at least Good. Generally, the diamond’s brilliance is maximized by how nicely it has been cut without making the diamond look too deep or too shallow. Please follow the chart guide below for determining the cut of a princess cut diamond. 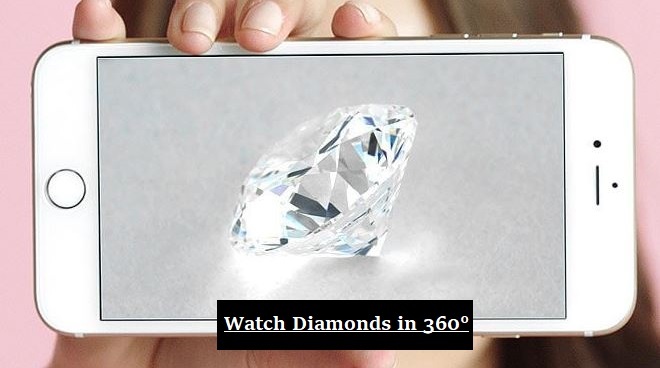 A helpful tool that you should consider using is Jame Allen's High Definition 3D Videos with 40X Magnification that will show you how the proportions below affects the visual appearance of a stone. It can also be very helpful in locating diamond inclusions and their types, especially black crystals. Make sure you play with their filter to get a clear sense of what might be best for you within your budget range before making a final decision. The chart above represents a set of guidelines created for you to use as a rule of thumb when evaluating the cut of a princess cut diamond. We would like to advise you to avoid any princess cut diamonds that have smaller depth percentage than table percentage. Click on the Images to See Details of Good Square and Rectangular Princess Cut Diamonds. H Color or I Color in a princess cut diamond will give you more value for your money. Although, the higher the color, the better the diamond is. One thing to look for when evaluating the color of a princess cut diamond is to look for a diamond that don’t have a visible yellow tint. For that reason, you are better off if you don’t choose a color grade lower than G, H and/or I. It is not important to spend additional money to buy a Colorless princess cut diamond i.e. ones graded as D, E, and/or F. Any of these colorless grades will not have a conspicuous difference in color with the naked eye as say I or J colors. G and H color diamonds are also considered as relatively high quality stones and should be a top option for people with budget constrains. We like princess cut diamonds because of their proportions, unlike other diamond shapes, exhibit significant brilliance and sparkle. This is a valuable aspect of princess cut diamonds because the brilliant proportion makes a diamond’s inclusion less visible. 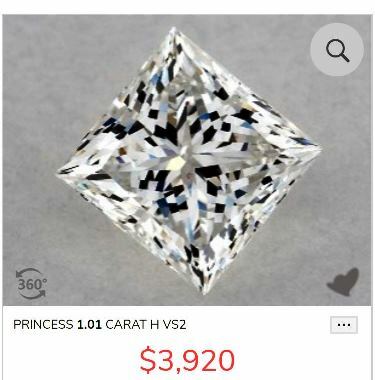 Although, princess cut diamonds with clarity lower than SI1 are rare, you may still find your dream princess cut diamond if you focus on buying a diamond with VS1, VS2, SI1, and/or SI2 graded clarity. One thing to pay attention to when buying these sparkling diamonds is to make sure the diamond you choose doesn't have serious inclusions in its corners. Large inclusions lead to weakened corners which then makes the diamond susceptible to chipping. Always make sure to choose a setting that protects the diamond’s corners. When a diamond is set in a mounting that has rough edges, it causes the diamond to become very thin. Not just that, a strong blow can also eventually chip the diamond off. To provide a safe mounting for your diamond, choose a V-prong setting. After selling millions of worth diamonds, we have seen the four scenarios shoppers usually prioritize will buying a princess cut diamond. Scenario 2: In this category, the shopper is still interested in a high quality diamond, but also wants to get a bigger stone (we call this high circulation and high value stones because these the most commonly traded diamonds online). 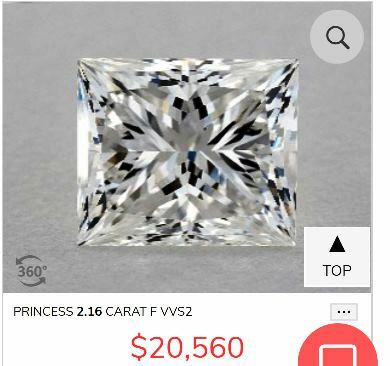 So the buyer would go as low as VS clarity and G/H color diamond, very good to cut excellent cut, medium blue fluorescence, and 1.5 carat instead of 1 carat. Scenario 3: In this scenario, the buyer is willing to go as low as possible to get an eye-clean stone with a decent color with the largest possible size. So what they would do is to go for a 2 carat, SI1/SI2 , up to J color, up to strong blue fluorescence, and would even consider IGI/HRD certification. If you are in this category, make sure you master diamond clarity as knowing which inclusions to avoid and which ones could work in your favor would make all the difference. Scenario 4: In this scenario, the shopper basically knows that he/she has to compromise heavily on 1C in order to maximize on the other 3Cs. In this category, we usually recommend that you give up on color to maximize on cut, carat weight, and clarity. The stone will look slightly yellowish (warm color might be your thing! ), but would still have optimal brilliance and fire because of the cut, high clarity and big size.